Hosted by Free Word and English PEN at the British Library, this annual event is an opportunity for the translation community to discuss significant issues and developments within the sector and celebrate success. A Great Feast of Languages was a year-long international focus on translating Shakespeare for performance. It involved a series of translation workshop programmes and a chain of public panel discussions between British and international translators, writers, academics and practitioners. Developed in partnership with the British Council, Shakespeare’s Globe and the British Centre for Literary Translation, A Great Feast of Languages was centered around five-day translation workshops bringing together translators, writers, actors, directors and academics to explore the challenges and complexities of translating Shakespeare’s plays and poetry. The workshops examined a number of key Shakespeare texts, along with a Shakespearean text of local relevance. An evening of bilingual poetry in celebration of the launch of Lost Evenings Lost Lives, an anthology of Tamil poetry edited and translated by Lakshmi Holmström and Sascha Ebeling, and winner of a PEN Translates Award from English PEN. 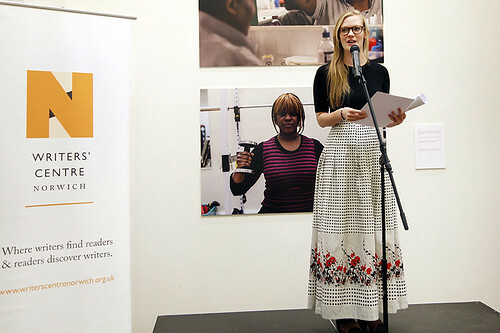 On 3 October 2015 WCN held a practical symposium exploring the radical edges of literary translation in a global context at the Free Word Centre in Farringdon. The day featured lectures, discussion panels, break-out workshops, readings and networking opportunities, with speakers and performers including Olive Senior, Sun-mi Hwang, Hamid Ismailov, Meena Kandasamy, Fan Dai, Khairani Barokka and Moqapi Selassie.